Station 1 is located in the heart of Washington Heights. This station was built in the Fall of 1997, and serves as the department's headquarters, earning it's name from the Role it plays for the department. All of the administrative offices are located here, including the chief officers and training officers. Department wide meetings are held here, as well as new member training. To conduct training, there are two training rooms complete with projection equipment and stadium seating. This station is home to the EMS training office and EMS coordinating office. 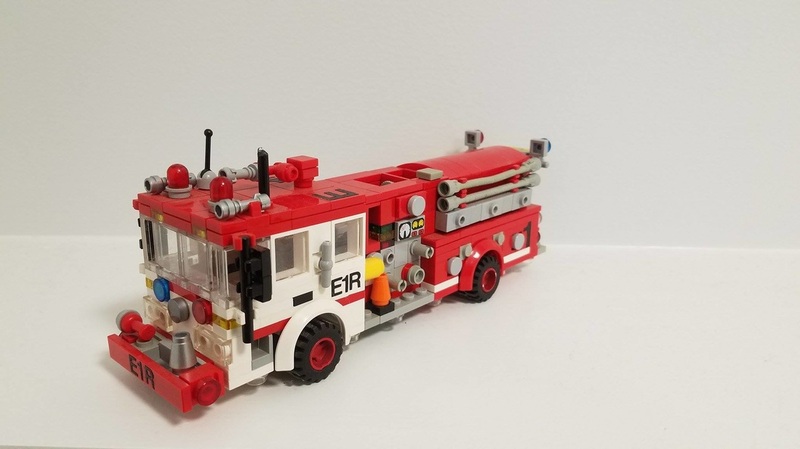 Station 1 is complete with a bunk-room and showers, a kitchen, a lounge, tool room, radio room, a gym, and storage areas. Engine 1-12, Engine 1-12R, Tower Ladder 1-12, Tower Ladder 1-12R, Tactical Unit 1-12, and Hazmat 1-12 all respond out of this fire station. Engine 1-12 is a 2009 Seagrave Marauder II pumper quartered at the Station One fire station. Engine 1-12 has a 1500 GPM pump, a 500 gallon water tank, and 40 gallons of foam. This engine carries equipment for water rescue in addition to firefighting tools. 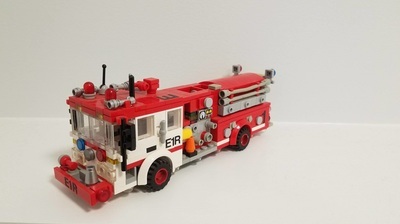 Engine 1-12 was refurbished in December of 2014 by Fallout Fire Equipment to prolong its service life to make the apparatus better fit the needs of Washington Heights Firefighters. Tower Ladder 1-12 is a 2013 Seagrave Marauder II 105FT rear-mount tower ladder. This truck includes a 1500 gallon per minute pump, a 500 gallon water tank, and 40 gallons of foam with a CAF system. Carried on board are the standard truck company tools, a set of TNT cutters and spreaders, and engine company equipment. Tactical Unit 1-12, or Tac 1-12 for short, carries the town's rescue equipment on board, from extrication tools for motor vehicle accidents, ropes for high-angle rescues, to equipment for building collapses and confined space rescues. This piece of apparatus was bought new in 2009 and was refurbished in early 2014 by Fallout Fire Equipment, adding a new bumper, LED warning and scene lighting, coffin style compartments to the top, and new compartments and layouts to better fit our needs in a Rescue Truck. Hazmat 1-12 is a 2013 Seagrave Marauder II HAZMAT/CBRN (Chemical, Biological, Radioactive, Nuclear) response apparatus. It carries equipment such as gas meters, protective suits, spill and leak containment gear, and air sampling equipment. Hazmat 1-12 is equipped with an on board lab and exterior decontamination showers. 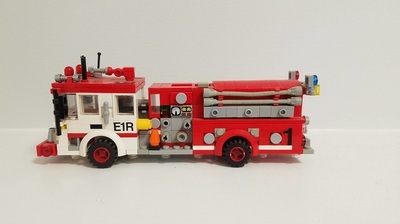 Air/Light 1-12 is a 1985 Ford C/S&S Specialized Rescue that was refurbished in 2004 by Gowan's Knight. This unit was purchased in 2006, originally serving as the department's first hazmat response vehicle. This rig currently serves as the department's mask and SCBA service truck, in addition to caring extra SCBA bottles, SCBA, masks, an on board cascade system, a 25KW Onan generator, lighting equipment, and two Command light towers. Engine 1-12R is a 1986 Seagrave J-Cab pumper. This rig was bought used from Tampa, Florida and repaited to Washington Heights color scheme and is used as a spare pumper. Tower Ladder 1-12R is a 1981 Mack CF/Baker 75FT aerialscope, that acts as a department spare. 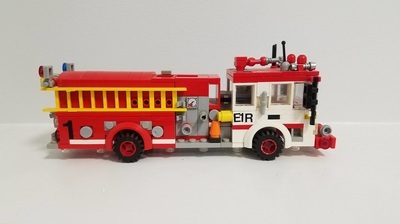 Little to no modifications have been made to this piece of apparatus since it was bought new in 1981. 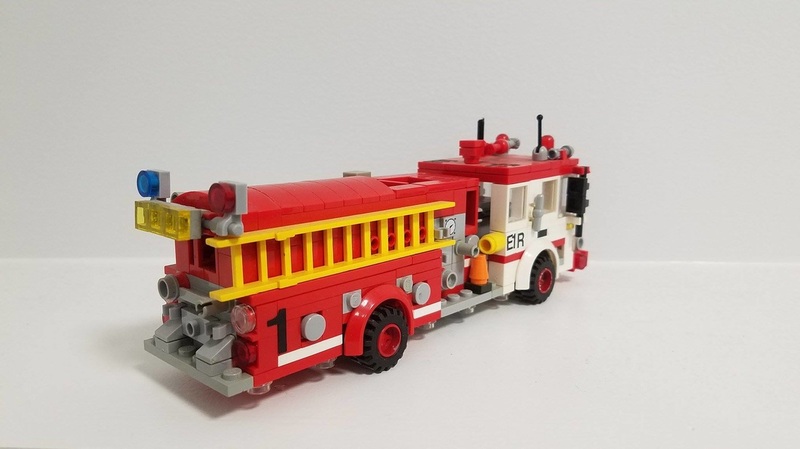 I would like to thank Nick Warner for his help with the scope' boom, also I would like to thank the NBFD for partial use of the design of the rear of the rig.